Part of a healthy lifestyle is to not only nourish the body with healthy everyday foods but to find pleasure – without shame – in enjoying treats during the holidays. “It is not what you do during the holidays that counts…it is what you do the rest of the year.” B.J. Morin. May you take the time to rest, find joy with family and friends and savor the fine foods that we are blessed to have in abundance. I am a huge dark chocolate fan and love making this recipe at Valentine’s and Christmas, as a treat for myself and for gifts to share. This Dark Chocolate Almond Bark is always a hit with family, friends and clients and what makes it even better, it has health benefits as well. 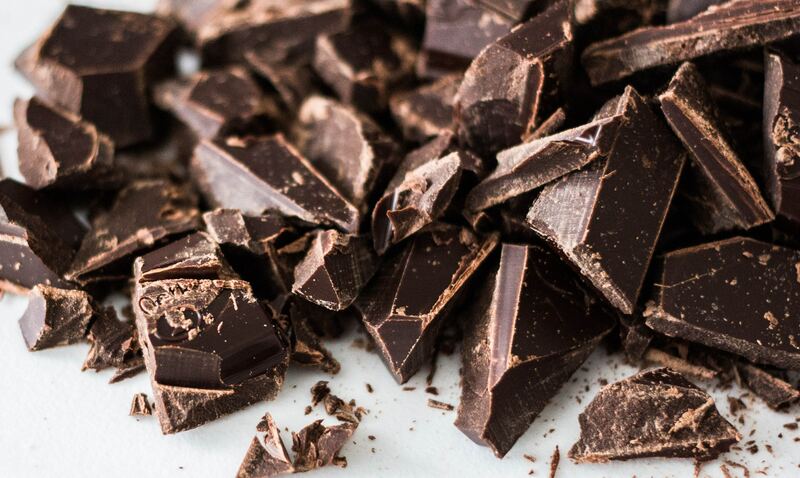 Dark Chocolate is an antioxidant, helping to prevent disease, almonds are a great source of mono-unsaturated fats, which help in the prevention of heart disease, and cinnamon helps lowers blood sugar levels. Dried cherries are a good source of copper, an essential mineral which aids in collagen production, a process needed to keep your tissues strong. Line baking sheet with parchment paper. Melt dark chocolate in double boiler or heatproof bowl set over pan of lightly simmering water, stirring often. Stir in 1/2 cup almonds, 1/2 cup dried cherries or cranberries, espresso powder or ground coffee, and cinnamon. Spread chocolate mixture onto baking sheet. Sprinkle with remaining 1 Tbsp. almonds, 1 Tbsp. dried cherries, and salt. Chill in refrigerator until firm, about 30 minutes. Break into pieces of desired size.